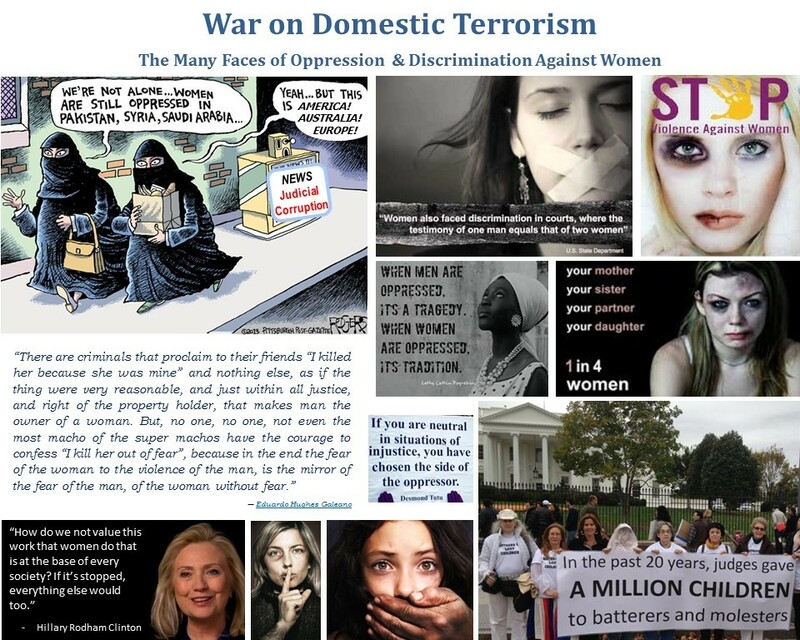 Over forty years ago, violence against women and domestic violence in all its forms was not recognized nor talked about; not in political arenas and not in the home or community. In the past decades many awareness campaigns have been launched, laws have been passed, and billions of dollars each year are spent at national and international levels to end violence against women. Nowadays, end-to-violence campaigns are omni-present, with everyone admitting that domestic violence and abuse know no borders, does not discriminate according to nationality, ethnicity, social class, culture or religion. However, as Under-Secretary-General and Executive Director of UN Women Michelle Bachelet, said in her closing remarks to the Stakeholders’ Forum on Preventing and Eliminating Violence Against Women “there is no shortage of good and innovative practices and programmes being initiated by women in cities and communities around the world to respond to this crisis. The shortcomings are not in the vision, voices and the voluminous efforts undertaken by determined women around the world. No, the shortcomings lie elsewhere—in the lack of political prioritization… Now is the time for governments to translate international promises into concrete national action….” In other words, turn rhetoric into reality; through capacity building and accountability. As my own case heads towards the international courts against Spain for its human rights violations under the principle of due diligence and a State’s obligation to protect,the US government and US State Department have become complicit in the violations of the Spanish courts by their own failure to protect.Details of my case, documenting the lack of due diligence by US State Department officials in the past 6 years are posted on http://worldpulse.com/user/2759/journal. While the Spanish system is exemplary and utopian in its legal structure and Constitution, and is signatory to international treaty after treaty, the discriminatory traditions and customs of legal counsel, judges and other judicial actors translate into rampant violations of the rights of women in Spain. This discrimination, as well as government agencies failure to assure transparency and accountability of judicial actors, is well-documented in study after study by Amnesty International, and supported by ample statistical data. Unfortunately, as demonstrated in my case, the refusal of Spanish regulatory agencies, Defensor del Pueblo, Consejo General del Poder Judicial, and Instituto de Mujer, to examine or investigate problems within judicial systems and their origins, perpetuates and sustains the “code of silence” which permeates, and has permeated Spanish society for centuries. The same tactics and manipulations used within the home to silence and oppress victims are being used by members of the community, judicial actors included. These abuses of power must be rigorously and severely challenged and sanctioned, if efforts to eradicate domestic violence are to be effective. Women’s rights and domestic violence organizations in Spain, with who I have been in contact over the years (and solicited assistance,) recognize that the violation of rights within the courts is totally unbridled, in large part due to the extreme difficulty in finding legal counsel who are willing and able to defend the rights of victims. Customs and traditions which support domestic abuse are so prevalent and deeply entrenched in Spanish society that even when legal counsel is provided with detailed instructions on how to utilize this “utopian” system (supported by well-developed legal arguments,) they categorically refuse, or are incapable of doing so; as demonstrated in my case. Unfortunately, the deeply ingrained “code of silence,” and policy of “laissez-faire,” by implicated parties is hardly reserved for judicial actors and government regulatory agencies in Spain. It is also reflected in the US Department of States attitude and actions towards American victims of domestic abuse living abroad. In my own case, even though the US Department of State was repeatedly provided with clear and precise instructions as to what was necessary, they consistently refused to even acknowledge my requests, much less comply. When Americans living abroad solicit services provided for under the afore mentioned laws, US Department of State’sresponses are that these situations are “private matters,” “civil disputes,” and that US government officials are prohibited by law from assisting Americans living abroad. A contention that is totally false, as sections 1922-1925, 1930-1932, 1910-1912, 1920-1929, 1721-1723, 1700-1719, 900-913, 450-456 of 7 FAM clearly enumerates the steps that Consulates and Consular Affairs representatives in Washington, DC should be, and by law are obligated to follow. 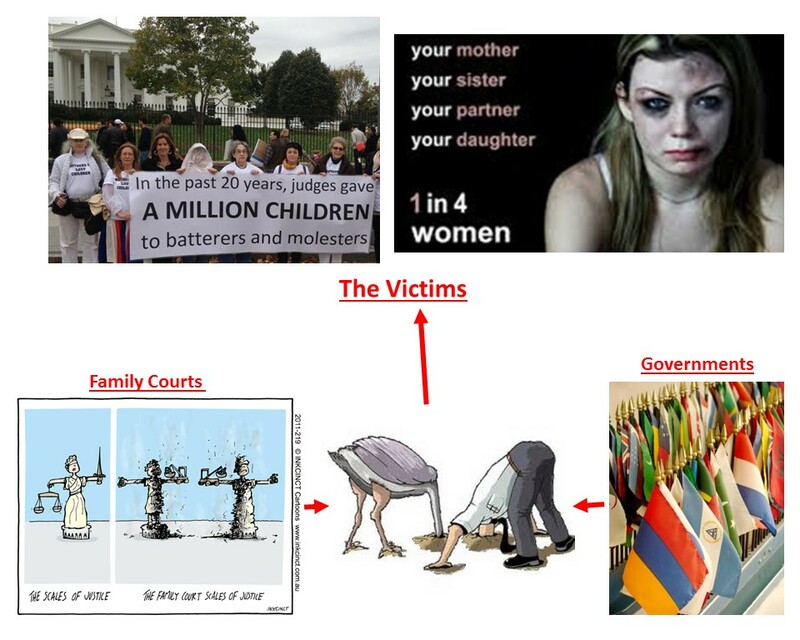 Of even further cause for alarm, in considering the failure of the US government to fulfill their obligation to protect, is the extensive services and resource they offer in the recuperation and eventual criminal prosecution of women involved in international child abduction under the Hague Convention. As reported by the Hague Convention Domestic Violence Project (www.haguedv.org/reports,) 70% of women involved in international child abduction cases under the Hague Convention are fleeing domestic abuse and the failure of judicial systems to protect them and their children. Abbott vs. Abbott (2010) (www.supremecourt.gov/opinions/09pdf/08-645.pdf) brought these issues to the attention of the US Supreme Court. Between 2010-2012 the Office of Child’s Issues, Consular Division of the US State Department handled 890 incoming Hague Convention on international child abduction cases, with up to 70%, or 623 cases, potentially involving a protective parent fleeing domestic abuse and a Receiving State’s failure to protect. While I have been unable to obtain figures from the US State Department on the annual budget for the Office of Child’s Issues, the 2012 budget for “Strengthening Consular and Management Capabilities”was $3.75 billion. Effectively, millions of dollars per year of the Consular Affairs Division’s budget are used in supporting the on-going abuse of thousands of Americans, while none of their resources (as provide for by law and under FAM guidelines) are being used to assist the victims. Additionally, by bring accountability and transparency into family courts and judicial proceedings, authorities and those dealing with international child abductions, would be able to effectively distinguish between cases where children are unjustly being abducted and deprived contact with caring, loving parents, and those who are being abducted by protective parents, trying to fulfill their own obligation to protect. At present, without an extensive (and extremely expensive) investigation into the facts of each case, it is absolutely impossible to distinguish between the two. What I am proposing is a win/win situation, rather than the lose/lose situation that exists at present. I hope that by bringing these issues to your attention, you will encourage the appropriate officials in the US Department of State to review and revise their policy of “non-assistance” to American victims of domestic abuse living abroad, and “non-compliance” with the Convention of Consular Relations in these cases. This policy is contrary to national and international law, as well as implicates the US Department of State in human rights violations committed against expatriated American citizens within foreign judicial systems under international law. For your convenience, please find enclosed some background information about Global Expats, and how we will be working in the future to assist expat communities around the world. Thank you in advance for your time and consideration. I remain at your disposition for any clarifications or additional information you may require.